The race is not completely over yet in some areas but the (inter)national winners have already been announced. The fastest pigeon in the race comes from Team Freddy De Jaeger (Knesselare), with a velocity of 952.2312 metres per minute. We started to look through the record-breaking number of entries to discover the winner of this year's PIPA quiz, and the winner of a granddaughter of New Laureaat. 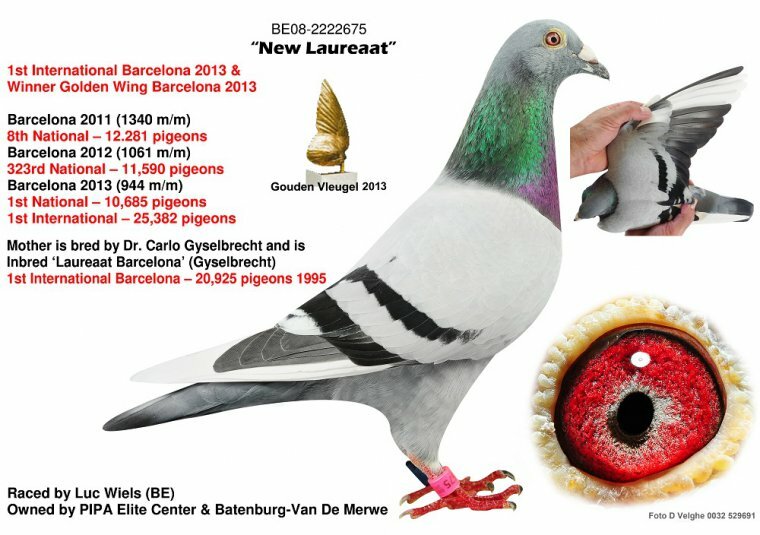 Cedric Delbushaye from Petit Rechain will soon be adding this grandchild of New Laureaat to his breeding loft. Congratulations to Cedric and the other participants, better luck next year!